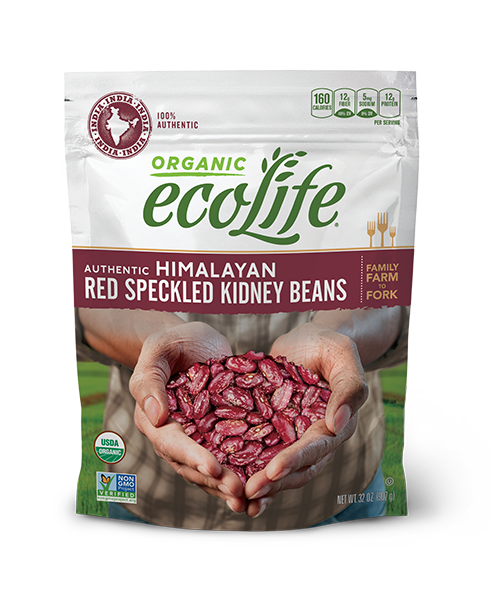 ecoLife® Authentic Himalayan Red Speckled Kidney Beans are grown near India’s Himalayan Mountains, where they’re a favorite among the people of Northern India. Small and speckled, these beans are well-dressed nutritional powerhouses. 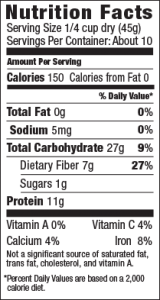 They’re filled with fiber, potassium and iron and when eaten with a helping of rice, they provide all the amino acids and proteins needed in a healthy diet. Whether cooked in the traditional rajma stew of Northern India or mixed into a chili, salad or rice, kidney beans are both healthy and delicious. Drain and rinse beans. Pick over to remove any debris. 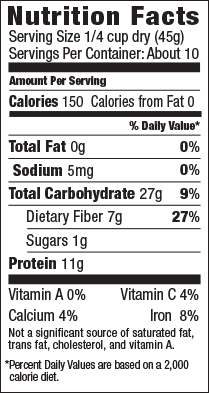 Combine 1 cup beans and 4 cups water in a saucepan. REDUCE HEAT (medium-low to medium) and cover. Simmer 90 minutes or until beans are tender. Serve.